In a game room, furnished to look like it was in the communist era, a crime has been committed and players need to find clues to understand what happened. All the furniture is vintage and players have to move real objects including photos, slides and “samizdat” – or underground publications which were illegal under communist regimes. Once the game is over, players talk about the experience with a sociologist. "The players face the reality of the past. And they can learn about that part of history not only at school but also see them here. 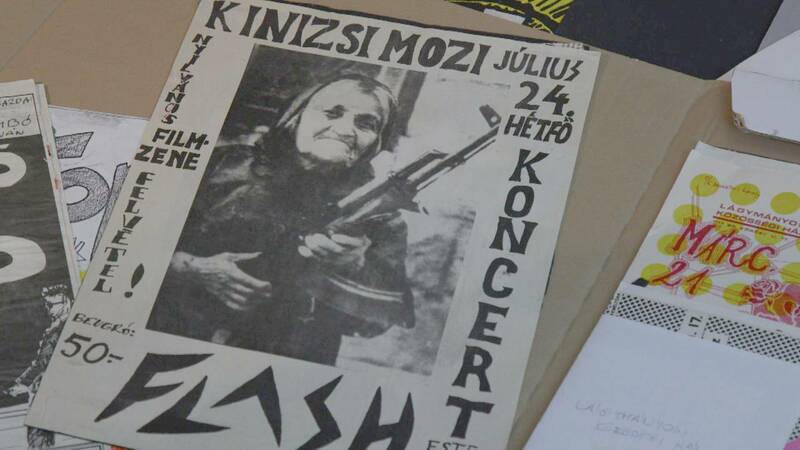 The actual documents, to see the photos, to be able to hold these "samizdat" issues in their hands and to be able to grasp the past" sociologist Szabina Kerény told Euronews at the Hungarian Centre of Social Sciences. Thousands of documents tell the story of cultural opposition to the communist regimes. From recorded poetry to posters - they are all now part of a huge online database accessible with apps, books and even board games. The research effort is focused on preserving this history and seeing it through a new lens. Historian Sándor Horváth from the European funded 'COURAGE' project explained the process. "The documents help us to understand what was (historically) important during the '60s, '70s and '80s. How power tried to crush the people, but also how people tried to revolt against power using culture. This interaction at a cultural level between power and people also helps us understand that historical moment". Among the database's contributing archives, the Artpool archive was founded in 1979. Hosting around 150,000 documents, including books, songs, recorded poetry and letters; it comes from 6000 artists and art institutions. The collection covers 600 metres of shelves. "We soon started to build the database together with researchers. I think this project is extremely important because archives like ours can contribute to the directory but it’s also meaningful because the public can now access collections that were totally unknown before" Júlia Klaniczay, Founder and Director of the Artpool research Center told Euronews. One of the contributions to the directory came from former music journalist, Tamás Syőnyei. He collected around a thousand posters promoting underground musical events in the 1970s and 1980s. "Thursday, Friday, Saturday, event organizers would put the posters onto the streets and in a couple of hours, days, they would disappear. It all went very fast. As I was involved in this underground world as a journalist, the gathering of documents was important. So I started collecting them. Back then I worked as a collector and documentalist at the same time". Regularly updated with new material, including rare musical recordings, the database can be accessed at their website.